Jakarta, September 2017 - Archipelago International, Indonesia’s fastest growing hotel group, is once again expanding its portfolio in Batam with the opening if its latest upscale Aston hotel. 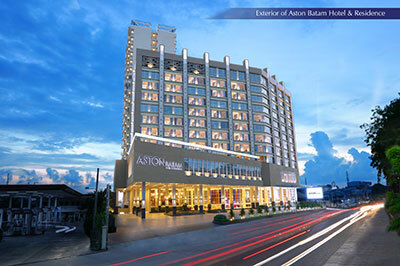 Named Aston Batam Hotel & Residence, the brand-new hotel mixes understated luxury with a homely ambience, together with a strategic address close to both business and entertainment hotspots. Aston Batam Hotel & Residence also offers easy access to Hang Nadim Airport and the Harbour Bay Ferry Terminal. Aston Batam Hotel & Residence features 232 comfortable rooms ranging from superior and deluxe to family and suite rooms. All rooms are fully furnished with complete amenities on par with international standards, including Hollywood twin and double beds and en-suite bathrooms. Other facilities include the cozy Basil Restaurant serving delicious local and international cuisine, seven meeting rooms, and one large ballroom for both business and celebratory purposes, as well as a swimming pool, fitness center, and spa. “As one of the largest hotel management companies in Indonesia, Archipelago International has always strived to find the best possible locations for our hotels. It has been quite some time since we chose Batam for our upscale Aston brand, and finally, Aston Batam Hotel & Residence is officially ready to serve for both business and leisure. With a plentiful selection of room types and meeting rooms supported by hearty facilities, we believe that Aston Batam Hotel & Residence will offer one of the best stays in the city,” said Norbert Vas, Vice President of Business Development for Archipelago International. 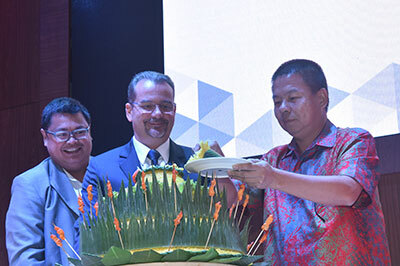 Within the year, Archipelago International will open two other Aston properties in Indonesia: Aston Banyuwangi City Hotel and Aston Inn Pandanaran Semarang, along with the opening of four new properties under Harper, Hotel NEO, and favehotel. By the end of 2019, Archipelago International will open more than 20 new hotels across the region. Aston Batam Hotel & Residence is offering a special discount to all guests - just use the BOOKDIRECT promotion code on Batam.AstonHotelsInternational.com to get 10% off. For more special promotions in all Archipelago International hotels across South East Asia, you can download the Archipelago Membership App which is available both in Google Play and the App Store. Social media enthusiasts are encouraged to use the hashtag #astonhotelsinternational. In additions, the 100th fan to like Aston Batam Hotel & Residence on Facebook will receive a complimentary night stay.